Indonesia is a multi-ethnic country and rich in arts and culture. One of the more famous ones is Pencak Silat, which is a form of martial art and is reflective of the cultural behavior of Indonesia which has been handed down from generation to generation. Pencak Silat is very popular like any other martial arts. It has also been included as a competitive sport in the international sporting events like the SEA Games and Asian Games. Each region in Indonesia has a school for Pencak Silat bearing their own uniqueness. Some of them are already popular and known in other countries. One of which is Perguruan Pencak Silat Tapak Suci or the Tapak Suci Training Center which is based in Yogyakarta. PKM Wadah Mutiara Abadi which is located in Sleman Yogyakarta is one of its members. Most members from PKM Wadah Mutiara Abadi who are enrolled at the Tapak Suci Training Center are children and youth aged 5 to 20 years old. They come from various areas around Umbulharjo Village, Sub-districts Cangkringan, Pakem, Ngemplak, Turi, Tempel, and Klaten Regency in Central Java. This is one of the primary activities of PKM Wadah Mutiara Abadi which they started since 2015. The activity continues to gain interest from children and youth, and training is conducted every Saturday from 15:30 to 17:30 Western Indonesian Time. Through this Silat training, a Silat instructee should have faith in the Creator, and should have good attitude and proper manners. A Silat instructee should not be arrogant but have self-confidence, is honest and friendly; not quarrelsome and does not harbor ill-feelings; highly motivated and not emotional, stressed, worrisome, nor aggressive in handling specific situations. 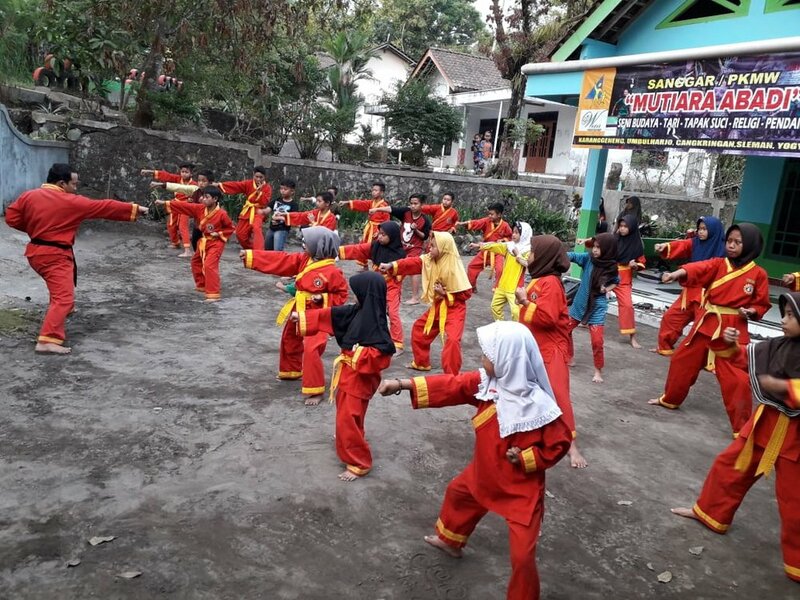 Training Pencak Silat at PKM Wadah Mutiara Abadi started from enormous interest from the people who wanted their children to be accepted at Tapak Suci Training Center, primarily from Cangkringan Sub-district. 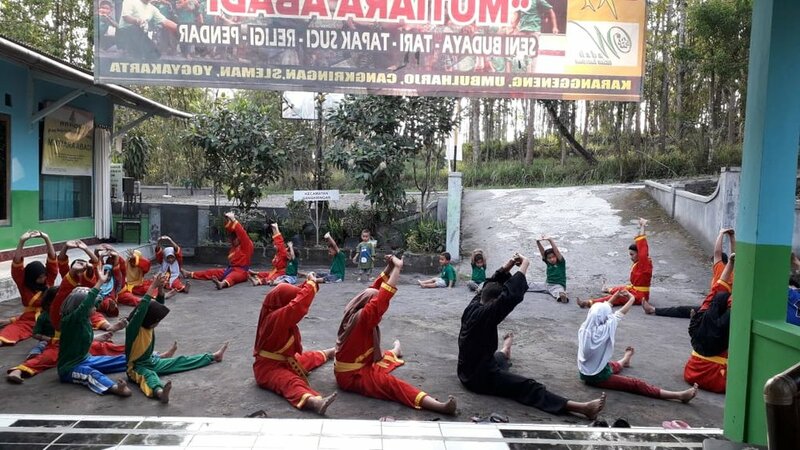 Mr. Nartukiyo, PKM Wadah Mutiara Abadi’s coordinator gives his utmost support to the activity due to the high interest of the children who come from various villages to join the Silat training in his center. “From the time children joined the Silat training at Tapak Suci, they become even more interested in other programs at PKM Wadah Mutiara Abadi like tutorials, Qur’an reading, dacing, English training, creative classes like arts and music,” said Nartukiyo. As time passed by, Silat activities at PKM Wadah Mutiara Abadi gave birth to budding Pencak Silat athletes and have become Assistant coaches, Coach understudies like Suhandani, Jujun Morvandy, Oktamira Ayu Saputri, Putrisari, Mike Syahriana, Cika Ismawandari, Septi Wulandari, and Nur Vaizin. Apart from this, they have also actively participated in competitions like POPDA (Pekan Olahraga Pelajar Daerah or Local Students Sports Week), POPWIL (Regional), PORDA DIY (Yogyakarta Level), Kejurnas Pencak silat 2016 (2016 National Pencak Silat Championship), and the 2017 Yogyakarta Championship. 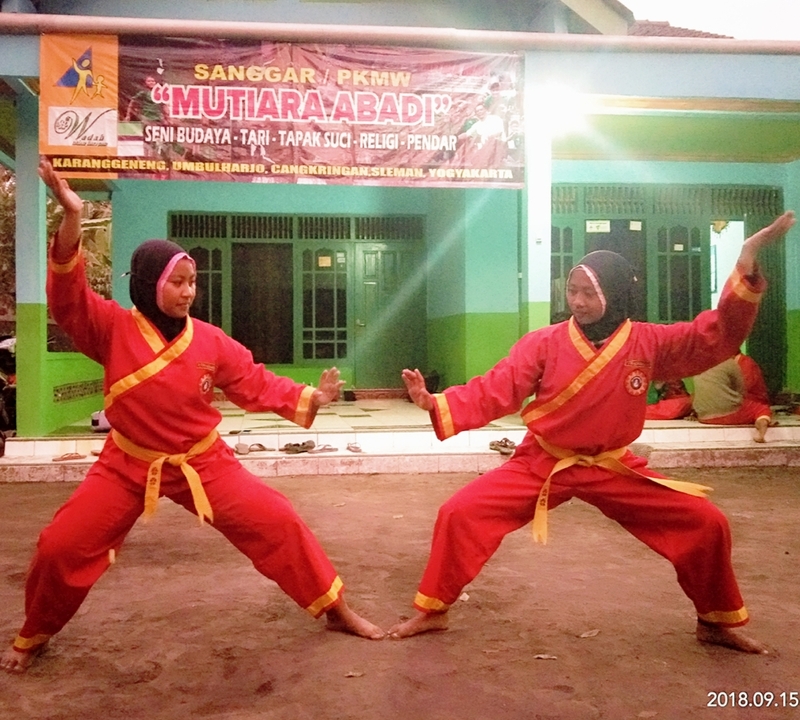 This year, PKM Wadah Mutiara Abadi has been asked to coach Pencak Silat athletes in various nearby schools like SMP Negeri 2 Pakem, SMP Muhammadiyah Ngemplak, SD Muhammadiiyah Kregan Cangkringan, MI Ponpes Darul Ulum Pakem, SDIT Darul Hikmah Pakem, SD Muhammadiiyah Ngepring, SD Muhammadiyah Pakem, and SMK Muhammadiyah Cangkringan. Students or participants in other activities at PKM Wadah Mutiara Abadi have observed and recognized the impact of this Pencak Silat activities in its athletes like being disciplined, responsible, confident, hardworking, honest, polite, caring and more patriotic. Wadah Foundation, through its Region II Office, is committed to provide moral support, facilities and opportunities to PKM Wadah Mutiara Abadi in implementing and developing other programs.